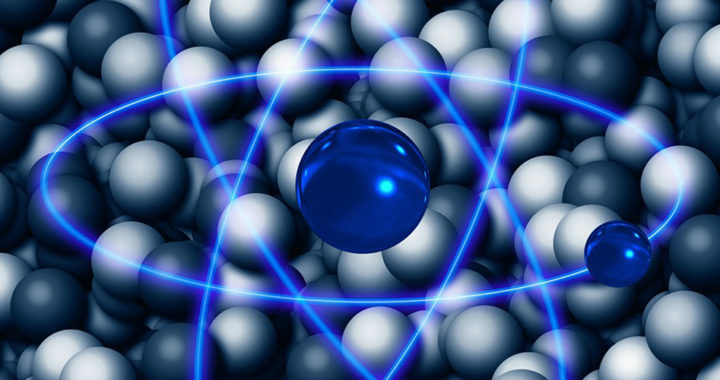 Nuclear fission and nuclear fusion are two notable types of nuclear reaction that generally involve specific processes involving the interactions between two nuclear particles, thus leading to the transformation of the nature of at least one nuclide to another. 1. Underlying Process: A nuclear fission can be a nuclear reaction or a radioactive decay process in which the nucleus of an atom splits up into smaller parts. Fission can happen spontaneously or through an external mechanism. On the other hand, nuclear fusion involves a process in which two or more atomic nuclei come close enough to form at least one different atomic nuclei and subatomic energy. Both processes result in the release of thermal energy. 2. Natural Occurrence. Both fission and fusion occur naturally. Note that radioactive decay of isotopes occurs naturally in the mantle and crust of the earth, thus producing radiogenic heat. Nuclear fission may also occur in the end-stage of a star, particular during supernovas due to the spontaneous fission of heavy metals. Nevertheless, nuclear fusion is the most common and readily observable nuclear reaction in the universe because it provides the primary working principle behind the existence of stars. 3. Involved Elements: Heavier elements are more fissionable while lighter elements are more fusible. Hence, nuclear fission is associated with heavy elements such as uranium, thorium, and plutonium. Meanwhile, nuclear fusion is observed in light elements such as hydrogen and helium. In a star, hydrogen atoms fuse together to form into helium atoms, which then fuse together to create beryllium until the core has created every element up to iron. Extreme events such as a supernova can produce enough energy to fuse iron atoms into heavier elements. Note that the fusion of lighter elements results in an exothermic process in which energy is released. However, as elements become heavier, fusion results in an endothermic process in which energy is absorbed. 4. Chain Reaction: A notable difference between nuclear fission and nuclear fusion is that the former creates a chain reaction in which one single nuclear reaction results in one or more succeeding nuclear reactions. Essentially, a chain reaction is a self-sustaining and self-propagating series of nuclear reactions. Nuclear fusion does not result in a chain reaction. Hence, unlike nuclear fission, it is not self-sustaining. 5. Energy Production: Nuclear fission has a more practical application than nuclear fusion. It serves as the primary operational principle behind electricity generation through nuclear power. Note that that nuclear power also has non-electric applications to include submarine propulsion and cogeneration. On the other hand, there are attempts to develop nuclear power based on nuclear fusion, but the technology is still in its emergent stage. 6. Nuclear Weaponry: Note that both nuclear fission and nuclear fusion are employed in the development and deployment of nuclear bombs. Examples of fission-based nuclear bombs were the Little Boy bomb with a uranium payload that was dropped in Hiroshima and the Fat Bomb with a plutonium payload that was dropped in Nagasaki in 1945. On the other hand, thermonuclear weapons or hydrogen bombs are an example of a fusion-based nuclear bomb. 7. Costs: When applied to electricity generation through nuclear power, nuclear fission is more economical than nuclear fusion due to the availability of technologies that make artificial fission a simpler and less energy-intensive process than human-induced fusion. Fusion-based nuclear power remains impossible, particularly uneconomic and counterproductive because fusing hydrogen atoms consumes more energy than it produces. However, fission generates more externalities than fusion due to its drawbacks or disadvantages to include nuclear wastes with higher radioactivity, as well as maintenance requirements, thus leading to more economic, social, and environmental costs.